ShowMagic gives you complete control of your lighting and AV. 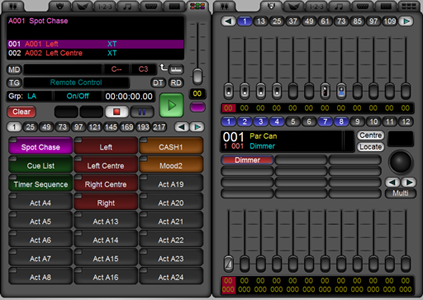 Control, combine and synchronise all the elements of a live show or fixed installation. ShowMagic is an integrated lighting, audio, video, digital signage and device controller, with built-in scheduling and triggering features. Its power and flexibility make it the ideal solution for a virtually unlimited range of applications. From spectacular light shows to subtle mood lighting, immersive spaces to corporate presentations, ShowMagic is used worldwide across a range of industries. Simplify set up and programming by using one solution to handle all your requirements. ShowMagic's comprehensive feature set lets you get the most from your AV equipment. Starting with our ShowMagic SL Free Edition (available as a free download), up to our flagship ShowMagic AV Plus, there is a ShowMagic product for every application or budget. ShowMagic just keeps on running 24/7. Our product range has an enviable record of faultlessly running shows, presentations, and entire venues for over 15 years.